The Big Easy got its nickname because of its laissez faire outlook–but it’s also a surprisingly easy place to bike. That’s thanks to its small footprint, pancake-flat terrain and nearly 100 miles of new bike infrastructure. Bike trails, paths and racks connect the city’s neighborhoods and landscape. In fact, cycling is the most efficient and pleasant way to see the New Orleans (especially during congested events like Mardi Gras and Jazz Fest). To learn more about New Orleans’ best bike trails, read on. Don’t venture out without a helmet, lighting and proper understanding of rules of the road. (Remember, it’s actually illegal to ride a bike on sidewalks–stick to the street!) Many bike rental companies offer guided tours, which are a good way to get your feet wet if you haven’t ridden a bike since junior high or if you feel less confident exploring on your own. And remember to stick to heavily populated areas! The City of New Orleans has a public bike share program. For more information, visit bluebikesnola.com. 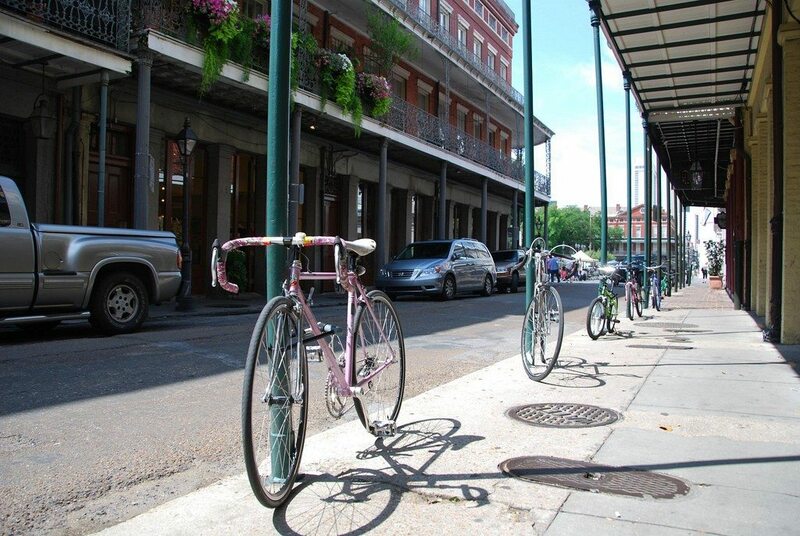 A quick Google search will also reveal dozens of bike rental companies, but if convenience is your preference, Ride This Bike is located in the French Quarter at 231 Dauphine Street. 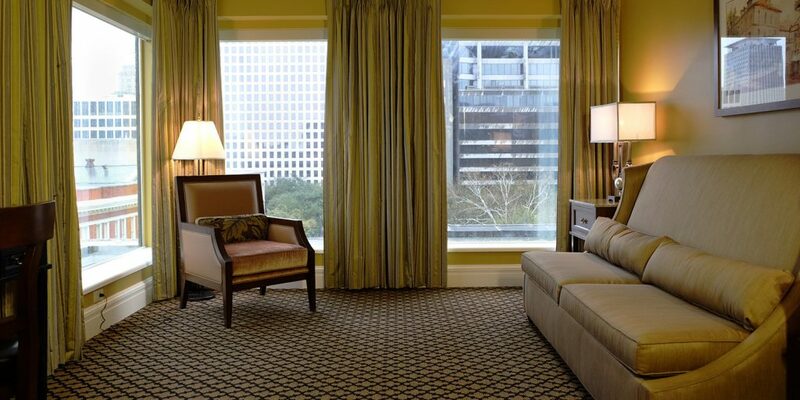 It’s conveniently located just one block off Bourbon Street and one-and-a-half blocks off Canal Street. The streetcar is to St. Charles Avenue what a trusty cruiser bike is to Magazine Street–the optimum way to explore. Though the street can be busy, cars don’t go very fast, and the large amounts of pedestrians on sidewalks and at crossings make the pace a little slower. (If Magazine Street feels too fast-paced, Prytania Street is a less hectic option.) Cruise uptown along Magazine Street, stopping to pop inside any shops, galleries or bakeries that catch your eye. (Bonus: you won’t have to look for a parking spot or pay a meter when you ride a bike.) When lunchtime rolls around, pick up a sandwich and beer at St. James Cheese Company, then have a picnic in Audubon Park. Finish up the afternoon by checking out the elephants, tigers and white alligator at Audubon Zoo. Opened in 2015, Lafitte Greenway is a 2.6-mile bike and walking trail that connects many of New Orleans’ most storied neighborhoods. It starts by Armstrong Park in the French Quarter, then goes through Treme, Lafitte, Bayou St. John and into the heart of Mid-City. Near the path’s intersection with Carrollton Avenue, find ample bike parking along with air stations and tools to fix a flat. It’s a great place to park your ride while you grab boiled crawfish at Bevi Seafood Company, gelato at Angelo Brocato’s or a cold brew at Bayou Beer Garden. But be sure to wear sunscreen–there isn’t much shade along the route yet. Esplanade Avenue is newly repaved to include a designated bike lane. 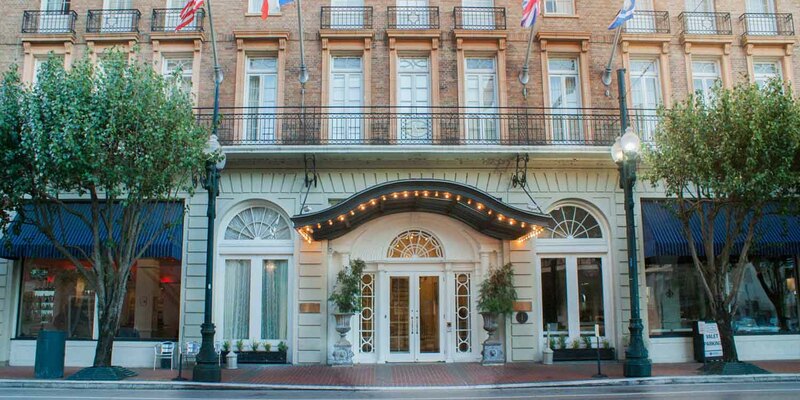 There’s not much better than cruising down the scenic, historic street under a shady, oak canopy and taking in the sights: the Old U.S. Mint and the Degas House, where Impressionist Edgar Degas lived and painted during his time in New Orleans, are among the landmarks. But every 19th-century mansion from this historically wealthy Creole neighborhood is Instagram-worthy. Esplanade Avenue ends in City Park, which is worthy of a bike trip as well. Don’t leave without stopping in the New Orleans Museum of Art and its adjacent (free!) sculpture garden. Crescent Park is a 1.4-mile linear park connecting the Bywater, Marigny and French Quarter. One of the most beautiful places in the city, the park combines running trails, gardens, former docks and warehouses with sweeping, panoramic views of downtown. Its lawn is a great spot to catch an impromptu yoga class. Or you can sit in a swing and watch the sun set over the river while cruise ships, paddlewheelers and tankers float by. The park also happens to be the quickest way to get from the French Quarter to the Bywater neighborhood. Take a spin down to Bacchanal, where Old World wines, fine cuisine and live jazz music mingle in a tiki-torch lit patio. We hope this is a good starting off point..and if you have any questions, just ask our friendly front desk staff. We’re more than happy to point you in a great direction.